On a lightly floured surface, roll pie dough to a 1/8-in.-thick circle; transfer to a 9-in. deep dish pie plate. Trim pastry to 1/2 in. beyond rim of plate; flute edge. Refrigerate 30 minutes. Preheat oven to 425°. Line pastry with a double thickness of foil. Fill with pie weights, dried beans or uncooked rice. Bake on a lower oven rack 20-25 minutes or until edges are golden brown. Remove foil and weights; bake 3-6 minutes longer or until bottom is golden brown. Cool on a wire rack. For lemon filling, combine 3/4 cup granulated sugar, cornstarch and salt in a small saucepan. Stir in water until smooth. Bring to a boil over medium-high heat. Reduce heat; add remaining sugar. Cook and stir until thickened and bubbly, 2 minutes. Remove from heat; stir in butter, lemon zest and, if desired, food coloring. Gently stir in lemon juice. Cool to room temperature, about 1 hour. For cream cheese filling, beat cream cheese and confectioners' sugar until smooth. Fold in whipped topping and lemon juice. Spread over pie shell. Cover cream cheese filling with lemon filling. Refrigerate entire pie overnight. 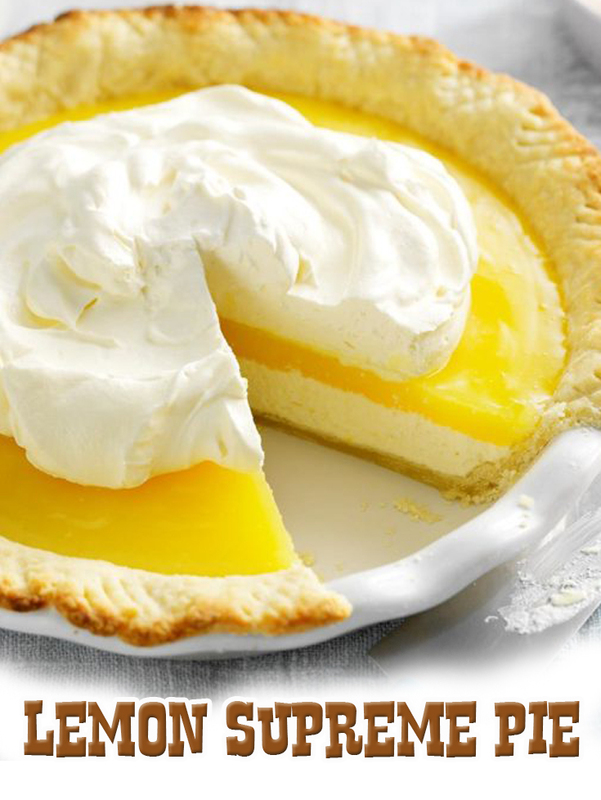 If desired, dollop additional whipped topping over lemon filling. Refrigerate until serving.